Our aim is to help you reach your full potential, to broaden your educational horizons and share knowledge in a friendly, personal, professional environment. Be it through group or individual learning we will teach, support and mentor our learners and equip them with the skills and competencies required to take to their industries. We support Equality and Diversity and take into consideration all learners needs. All courses encompass age, gender and ethnicity. Any special needs, dietary, cultural or disability will be accommodated. Please help us to help you by making us aware of this in advance. We operate an open door policy and regularly keep in touch with our delegates. We offer the most up to date and innovative training courses around. We dont want you to just qualify, we want you to deliver the highest quality treatments possible ensuring your customers come back, time and time again! So what courses do we offer? Our Microneedling course encompases dermaroller and automated pen device treatments. It is a half day course that is 50% practical and 50% theory. The products used in this course are the leading South Korean brand ‘Genosys’. 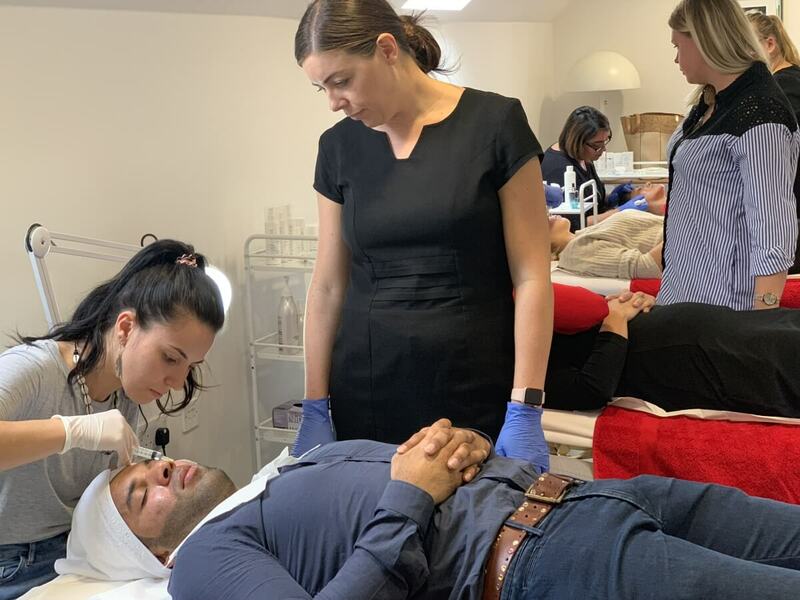 Our mesotherapy course covers all aspects of mesotherapy treatments including Anatomy and Physiology. Its a half day course that is 50% practical and 50% theory. Our Glycolic skin peel course encompasses both the 50% and 70% glycolic acid. The products on this course are created by leading UK aesthetic brand Epiderma5. Our Facial training is an intense one day course encompassing a comprehensive overview of all aspects of facials. It is full day course that is 50% practical and 50% theory. Our one day intenisve courses encompasses mesotherapy, microneedling, glycloic skin peels and LED light therapy. Its a full day course that is 50% practical and 50% theory. The products used in this course are the leading South Korean brand ‘Genosys’ and leading UK brand Epiderma5. All training courses are 1 day or 1/2 day in duration. 50% allocated to theory and 50% to practical assessments. Complimentary refreshments and a light lunch are provided.